It's funny to see where you were born. Two weeks ago I did just that. I went to the place of my birth for the first time since just about when I was born. Ashland is a funky little town in southern Oregon surrounded by mountains and inhabited by hippies. Yes, still. It is a town known for Shakespeare but in my family it is known as Beth El. Beth El is the place where our forefathers go, Abraham, Isaac and Jacob. It is the place where Jacob commits his life to the Lord and God becomes Jacob's God and not just "The God of his fathers". Thirty something years ago my parents were hippies. They left New Jersey together and drove across the county in a nasty little van that they lived in until they could scrounge up enough to live in an apartment. They had my brother Jake in a hospital. But three years later (1979) they did it the "natural" way and decided to do a home birth. 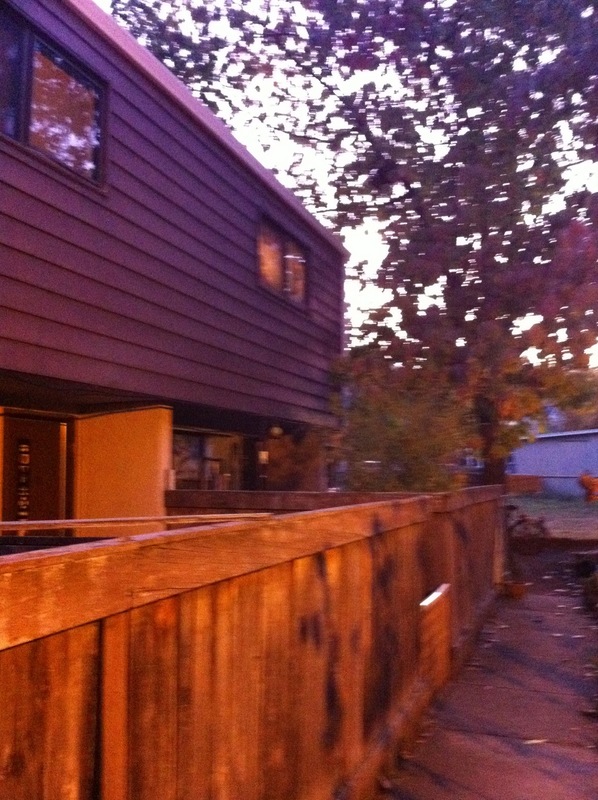 Two weeks ago with my parents on the phone I walked up to the apartment where I was born and I knocked on the door. A skinny dude with a winter hat and a big beard came to the door. I told him I was born in his apartment and he said in true Oregon hippie fashion, "Come on in man!" His wife came out of the kitchen with super long dreads and the apartment smelled like incense (maybe?!). I felt like I was meeting my parents from thirty two years ago! It was surreal. I went upstairs and looked at the little room where I came into existence and thought "man, this is crazy!" I'm a New Yorker. Right now I am a New Yorker who lives in Seattle. I love Seattle. It's a funky, cool city and, yes, also still full of hippies. Almost two years ago I was flying out to Seattle to find an apartment for my family. I stopped in San Diego to attend a Bar Mitzvah and then San Francisco. 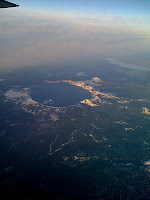 Flying from San Francisco to Seattle took me right over Crater Lake. As I flew over I sensed the Lord saying to me "Welcome home, Matt." I tried to convince God that I am a New Yorker, which He knows, but I understood that for this time in my life I belong in the Northwest. God has great things that He wants to do in me and through me here! Back to Beth El (Ashland). I have heard all of my life about Crater Lake, Lithia Park, the mountains, the Ashland Foursquare Church and Johnny Otto. While in Maryland John and I had talked on the phone many times but I had never met him, as an adult. I was excited to meet him and see all that I had heard about! John is an awesome guy. He is 83 and has been serving the Lord for a long time. It's a funny thing to meet someone and hear yourself and your dad in his voice. 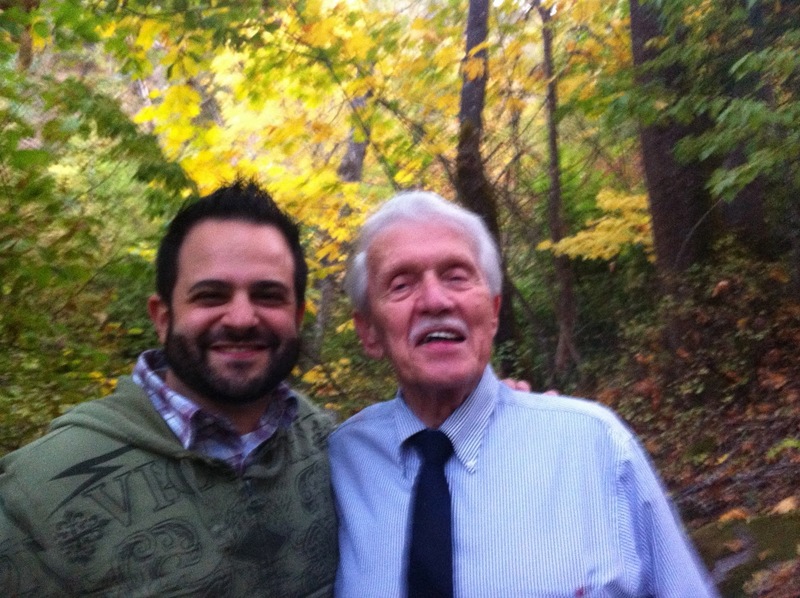 John is my Dad's spiritual father. If my dad is Timothy (from the Bible), John is Paul. 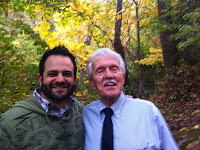 He taught my dad about the Lord; prayed with him in Lithia Park and encouraged him to follow the Lord with his whole life. In those days neither of them had much money. My parents were in HUD housing and on food stamps. They could hardly afford to have coffee together. But they did. Met early. Prayed. Talked and trusted the Lord together. I needed to see John and his wonderful wife, Becky. I needed to see Ashland. I needed to go backwards to understand my right now. I needed to see, hear and touch where I started so I could better understand where I'm going. As John, Becky and I walked in Lithia Park, John wanted me to see the places where he and my dad spent time praying. One of the paths was grown over and we had to climb some rocks. John no longer walks very well but he was determined to get to the spot. We got there and prayed and I had an opportunity to bless the man who taught my dad who taught me. I am who I am because Johnny Otto took my dad under his wing and imparted everything he knew about the faithfulness of God to him. Sometimes I find myself discouraged. Sometimes ministry totally stresses me out. Sometimes I stress myself out. Now, I think of my Beth El (Ashland) and am faced with the reality of the faithfulness of God. In my family I am only a second generation follower of Yeshua. If my children choose to walk with Yeshua, they will be third generation. On my wife's side, her family has been walking with Yeshua for around 400 years. Talk about God's faithfulness in bringing Laura and me together. Of course as a Jew, my ancestors have walking with God for 5000 years. There has been a lot of walking and I am grateful to God for both sides of my children's heritage. So here in 2011, I discovered something I will take with me for the rest of my life. The God of my fathers is awesome! My journey has been awesome! I love where I come from, where I am and where I am going. 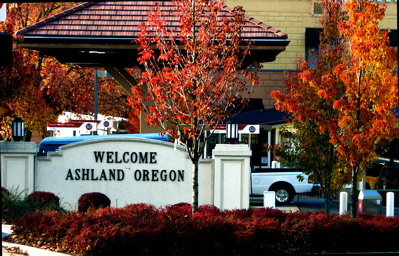 I love that my passport says, "Ashland, OR." I love that the Lord has called this New Yorker to Seattle and I love that He is doing awesome things in me and through me.